While celebrating the big milestone of surpassing 3 billion downloads today for the popular open-source video player app VLC, the Videolan team announced that they are working to add support for AirPlay to the app in the near future, Variety is reporting. 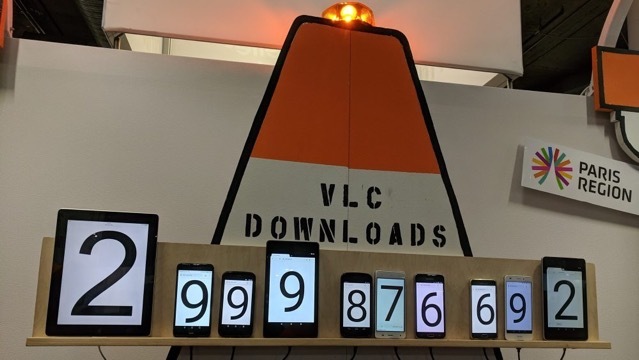 Jean-Baptiste Kempf, one of the app’s lead developers, revealed that Android users will also be able to beam videos from their mobile devices to Apple TVs using the VLC app. While he did not give out an exact date, he said that Airplay support could make it to the main VLC app “in about a month”. Meanwhile, the Videolan team is also working on including a VR mode for watching 2D content on VR headsets and an improved media library. Kempf said that the Videolan team reverse-engineered most VR headsets to natively support VR video through the main VLC app. Relying on the SDKs of headset manufacturers would have added hundreds of megabytes of code to VLC. The implementation demonstrated at CES, on the other hand, is based on just around 1 megabyte of additional code, he said. Kempf added that the team is aiming to build a more complete media library for the VLC app which should simplify the switch from iTunes.